Lithium Australia have opened up two new fronts in their ever-expanding search for new Lithium resources. Whilst the company is primarily a technology innovator in the Lithium processing space, they have also aggressively laid claim to a plethora of well located Lithium exploration tenements around the world. 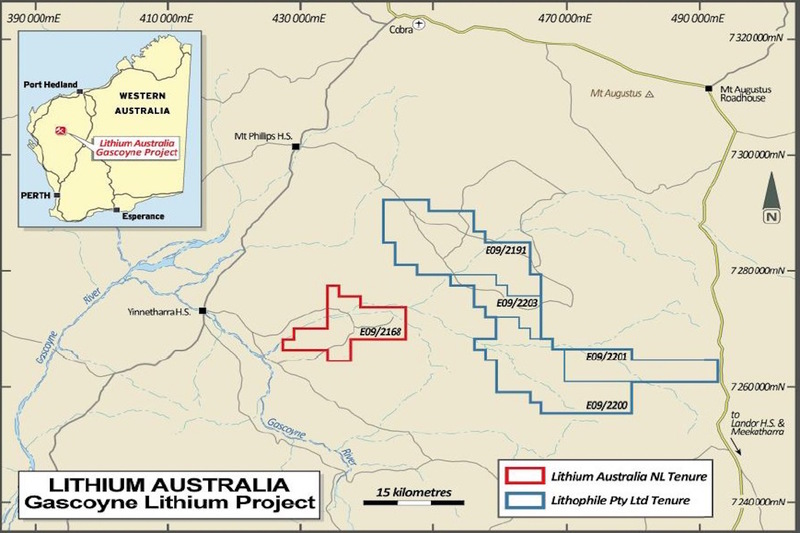 In the past six months, Lithium Australia have entered WA’s Lake Johnston district, expanding their tenements adjacent to the Greenbushes mine, upped their stake in a high-impact Lithium clays joint venture in Mexico and formed a joint venture in Germany. WA’s Gascoyne region and Northern Queensland have now been added to the list with the awarding of multiple new exploration permits in each location. The Gascoyne project area is adjacent to and along strike from the Nardoo pegmatite district, about 800km north of Perth. It is spatially associated with granites considered to be a possible source of the extensive pegmatites in the district. The project area has known geochemical anomalies of Lithium, Rubidium and Niobium, as well occurrences of Tantalum, Tungsten and Tin. An upcoming program of reconnaissance and sampling will be guided by the results of an exhaustive review of open file geophysical and geological data by Southern Geoscience Consultants in November 2016. In a statement to the ASX, the company said the application of state-of-the-art geophysics and geochemistry provided a great opportunity to evaluate a neglected geological environment that had a high probability of containing the kind of granites associated with hard-rock Lithium deposits. The new search in Northern Queensland, known as the Amber project, is located inland from Cairns in a belt of granite that is known worldwide for its association with Lithium, Tin and Tungsten. The Amber project is made up of four permits, covering an area of 1,000km2 on the margins of prospective granites and zones of pegmatites and greisens. There is no history of Lithium exploration, however the area has all the geological hallmarks of many of the world’s major Lithium provinces. Existing geophysical data will be remodeled to improve target generation, whilst initial work on the ground will focus on historic recordings of pegmatite and occurrences of Tin and Tungsten. Lithium Australia gets new lithium sniff in W.A.